New York, N.Y., May 16, 2017 – Former FedEx executive and cargo industry veteran Andrew Shiles has joined the United States Council for International Business (USCIB) to lead the association’s dynamic portfolio of trade services, including the “merchandise passports” used by thousands of exporters around the world to get goods through customs quickly and easily. As senior vice president of ATA Carnet and trade services, Shiles will work to expand U.S. trade interests through promotion of the ATA Carnet program. ATA Carnets are internationally recognized customs documents that permit temporary duty-free, tax-free entry of qualified goods for up to one year. They are used widely to facilitate entry of goods for trade shows, product samples and professional equipment. USCIB manages and guarantees the ATA Carnet system in the United States, with responsibility for issuing ATA Carnets falling to two outside service providers, Roanoke Trade and the Corporation for International Business. ATA Carnets are accepted in 84 countries and territories, while the global ATA systems is overseen by the World Customs Organization (WCO) and the International Chamber of Commerce (ICC). USCIB serves as ICC’s American national committee. Shiles comes to USCIB following more than 30 years at FedEx Express, the world’s largest air express cargo company, most recently as global regulatory compliance manager, where he served on USCIB’s Customs and Trade Facilitation Committee. 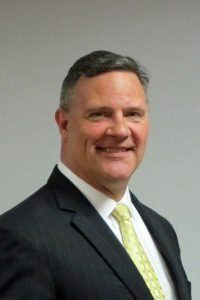 His leadership experience in global supply-chain management includes participation in U.S. Customs and Border Protection’s Simplified Entry Working Group, which redesigned and implemented the current entry-clearance process into the United States. Shiles also has extensive experience working with multiple government agencies, including the Food and Drug Administration, Department of Agriculture and Consumer Product Safety Commission. A self-professed “Yankee with a Southern accent,” Shiles was born in Manhattan and raised in the Southwest and in Tennessee, where he received his bachelor’s degree from the University of Memphis. He is a member of the International Compliance Professionals Association and the American Association of Exporters and Importers. Find out more about the services offered by USCIB to facilitate cross-border trade and investment at www.uscib.org. USCIB promotes open markets, competitiveness and innovation, sustainable development and corporate responsibility, supported by international engagement and regulatory coherence. Its members include U.S.-based global companies and professional services firms from every sector of our economy, with operations in every region of the world. With a unique global network encompassing leading international business organizations, including ICC, USCIB provides business views to policy makers and regulatory authorities worldwide, and works to facilitate international trade and investment. The United States Council for International Business (USCIB) is the National Guaranteeing Association for ATA and TECRO/AIT Carnets in the U.S.
For general information or cancellation and claims matters, contact HQ. Please click: HQ Staff List and HQ Hours and Holidays. from 9:00 a.m. to 5:00 p.m. Eastern Time.